for your guests to wear during their visit to your home. 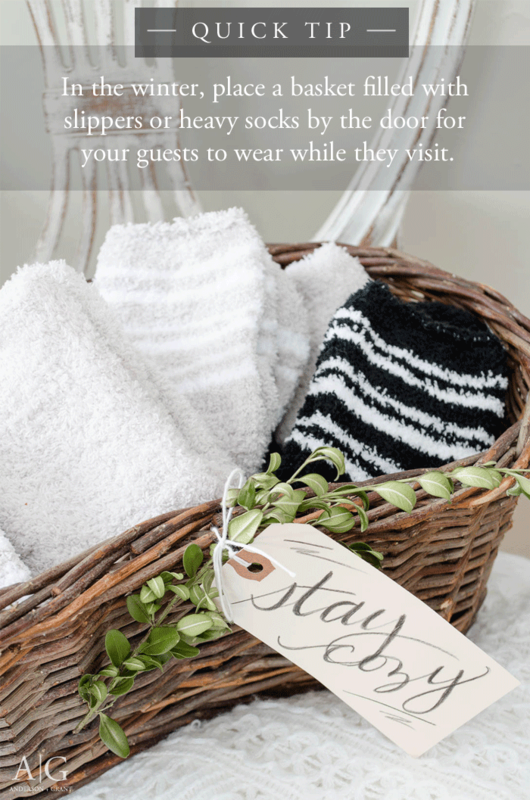 From time to time, I enjoy sharing a quick tip that you can instantly put into use at your own home. So often blog posts are filled with time consuming DIY projects and whole room decorating inspiration. With our busy schedules and jam-packed days, it is nice to have an idea that takes no time at all to improve your life or space. The winter months can be cold and very messy. 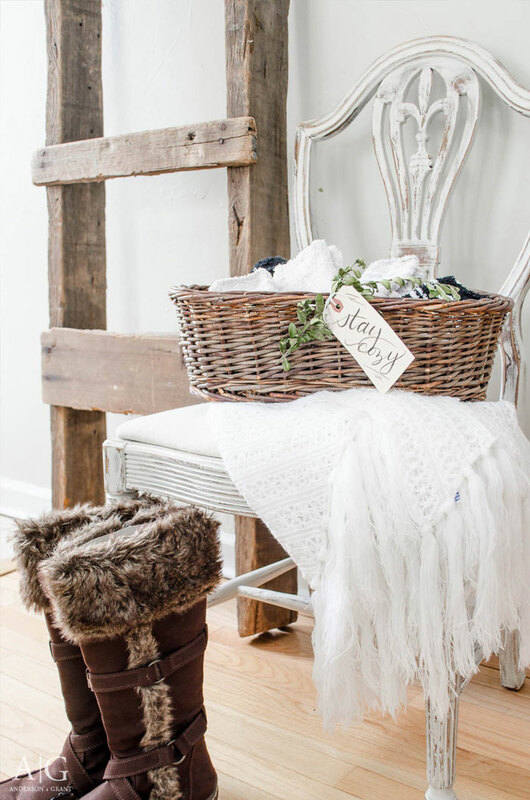 When guests come to your home, they are often dressed in snowy, wet boots that must be removed at the door. 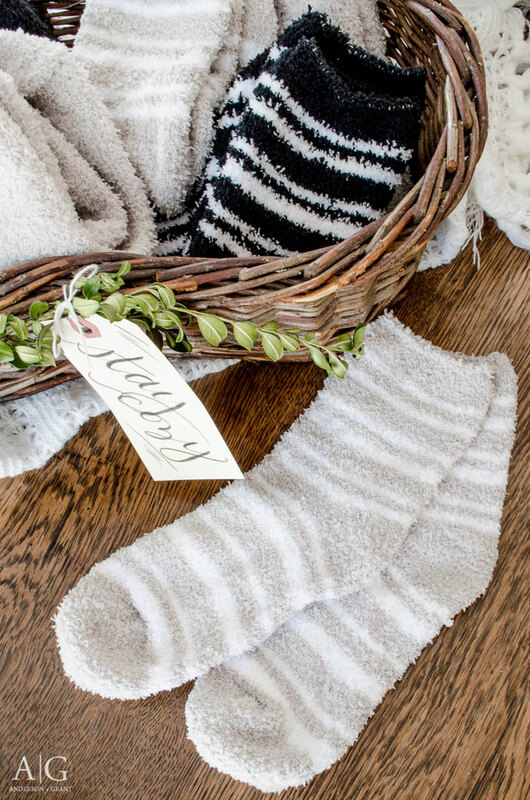 If you expect your guests to take off their shoes, it is a thoughtful gesture to provide them with slippers or heavy socks to keep their feet warm while they visit. It is an easy way to make your friends and family feel right at home while they are spending time with you. 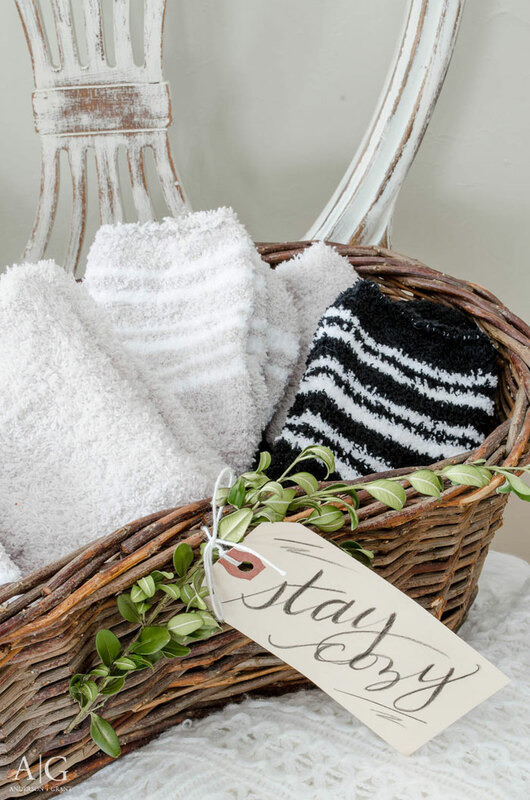 These cozy slipper socks were purchased at Dollar Tree, so this tip isn't something that has to cost a lot. 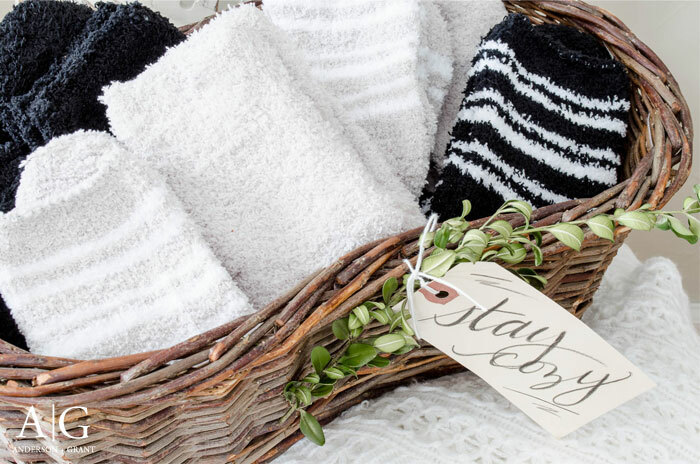 At a dollar a pair, you can even let your guests take the socks home with them when they leave. I purchased neutral colored socks in tan and black so that they aren't gender specific. 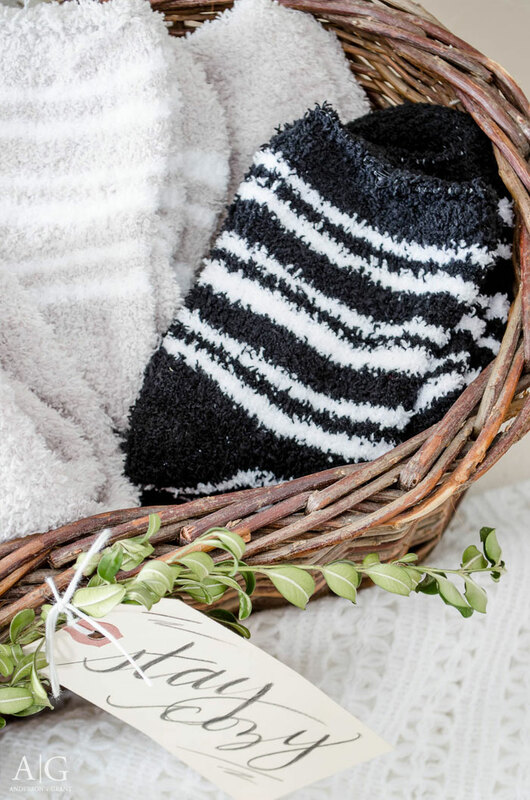 If you have a friend, neighbor, or family member who makes frequent trips to your house, you could add a tag to their socks so that they are always ready for them when they visit. 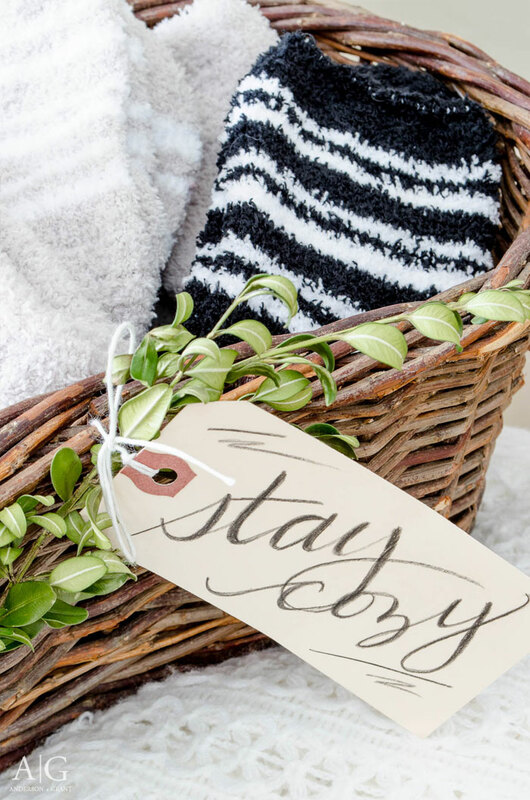 To dress up the basket, I added a simple "Stay Cozy" label using a manila shipping tag and a black colored pencil. Then I tucked in a small sprig of dried boxwood. 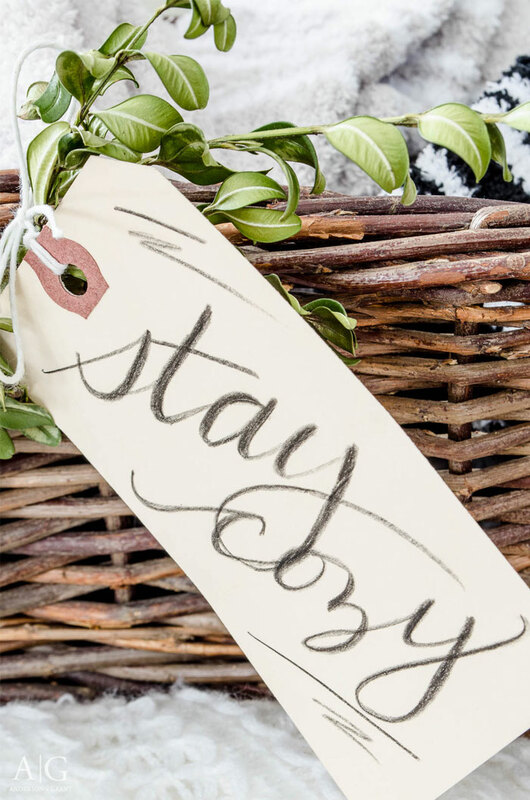 The basket can be easily tucked away in a coat closet and pulled out when your guests arrive. 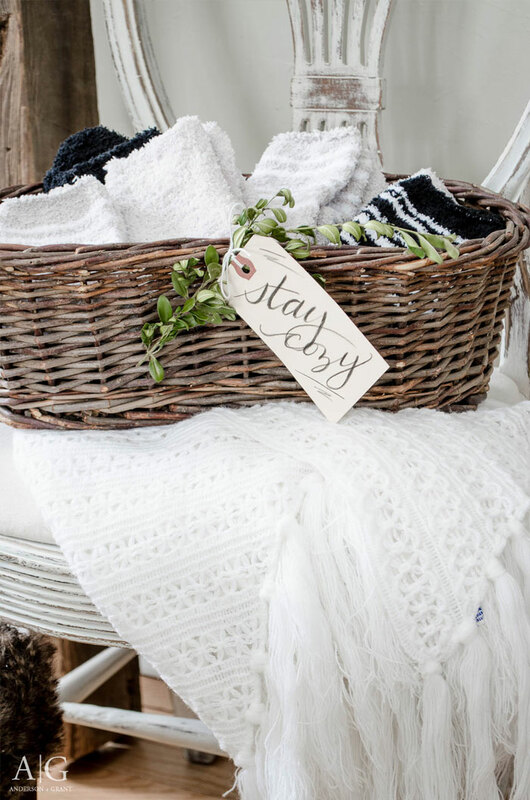 What other ways have you found to make your home welcoming to those who come for a visit? Please know that some of the links in this post are affiliate links. This allows me to make a small commission if you purchase something, but your price will stay the same. I only will share products I believe in and all opinions are my own. You can view my disclosure policy here. 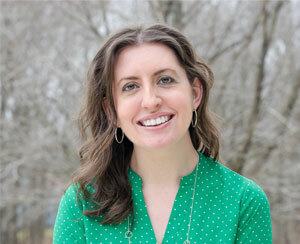 Thank you so much for helping to support this blog!